Americans’ penchant for spirituality in contrast to other industrialized nations is well-known: a 2012 Pew Research study found that even 68 percent of those unaffiliated with any religion say they believe in God. But social scientists seeking to go beyond those basic questions have frequently been stymied by the logistics of getting people to provide crucial detail about their beliefs and the impact they have on their lives. 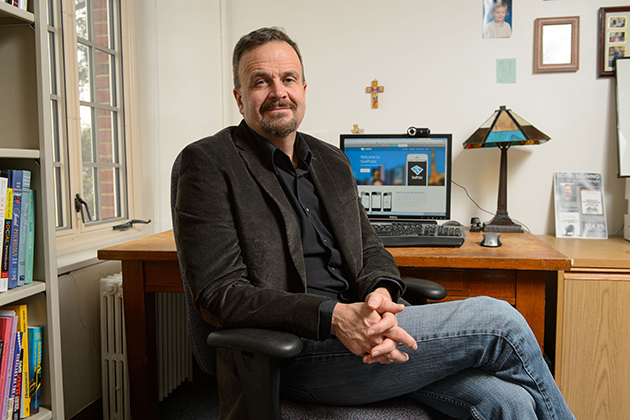 A new project launched in November and overseen by Bradley Wright, associate professor of sociology, aims to change that. 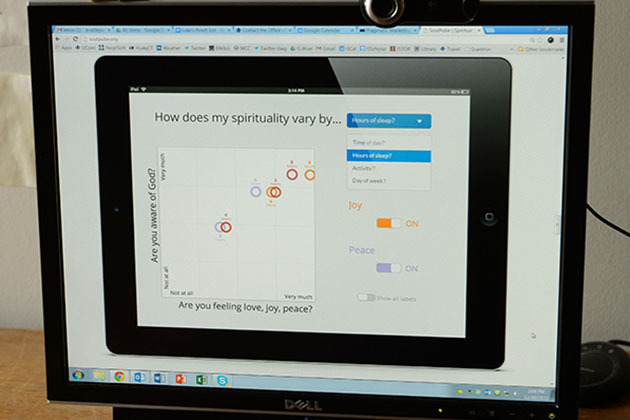 Soulpulse.org, a sleek, well-designed website designed to work as easily on a smartphone or tablet as on a desktop computer, is giving researchers a chance to gather experiential, real-time data on American spirituality and how it intersects with people’s daily lives. “You could write a hundred papers out of this and not even scratch the surface,” says Wright, author of Christians Are Hate-Filled Hypocrites … and Other Lies You’ve Been Told (2010). 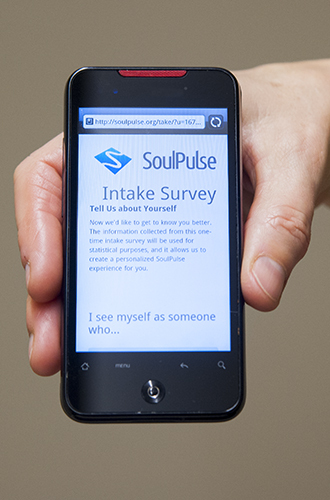 People can sign up at www.soulpulse.org for a two-week survey in which they’ll receive two daily questionnaires via text or email or both. The questions range from general assessments of physical health and well-being like “How much sleep did you get last night?” to whether the respondent has prayed in the last 24 hours. The questions vary from day to day, and change based on whether, in the initial signup, the respondent indicates a belief in God or not. 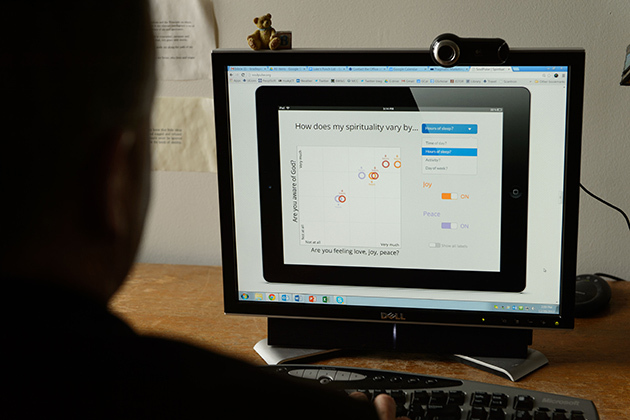 At the end of two weeks, the respondent gets a link to a report featuring the results of the study, which can indicate, among other things, that someone is far more likely to feel joyful on a Friday than a Wednesday, or that a respondent tends to feel closer to God when relaxing than while using a computer at work. So far, with about 160 surveys completed, the study has already yielded some 92,000 individual data points, and it’s found some rough early trends. For example, people feel most joyful when they are taking a walk or exercising and least joyful when they are working on their computer or watching television, and there seems to be a clear link between getting a good amount of sleep and overall feelings of spiritual well-being. Soulpulse.org is the result of discussions Wright had with the popular California-based pastor the Rev. John Ortberg, whose Silicon Valley congregation has produced some of the technical know-how on the project. Wright and Ortberg were aware of two studies that used new technology to conduct studies using what’s known as the “experience sampling method,” a way of evaluating reactions to situations in real time, rather than giving a list of questions that ask about experiences in the past. But those studies are gauging relative happiness, and Wright and Ortberg wondered if it would be possible to build a survey to measure spirituality. After about 18 months of planning and preparation, Soulpulse.org launched with a team of about a dozen, including six computer experts and six researchers. The latter include, along with project manager Wright, two of his UConn colleagues: assistant professor of sociology Jeremy Pais and professor of psychology Crystal Park. Not that the road has been completely smooth, however. The surveys, which take about three minutes to complete, were designed to be easily used on a smartphone, a critical part of capturing people’s experiences as they happen. That meant a big change for Wright. IPhone now securely in hand, Wright says he plans the study to last for years, and is working with the Soulpulse.org team on ways to make the data available to other researchers.